The market for residual fuel oil is traditionally not attractive for refiners because prices are lower than for crude feedstocks. 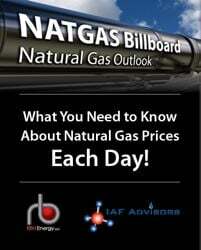 However, some of the world’s biggest oil traders profit from arbitrage between different fuel oil grades and locations. 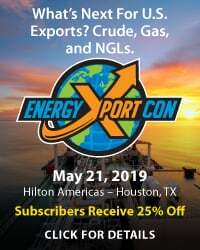 The Gulf Coast market is expected to expand as refiners add imported fuel oil to their feedstocks to balance lighter crudes coming their way from shale production. 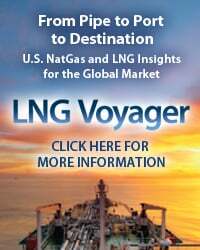 In October a brand new fuel oil terminal will open on the Houston Ship Channel to help serve the growing needs of fuel oil traders. Today, appropriately “International Talk-Like-a-Pirate-Day” we begin a new series covering the Gulf Coast fuel oil market. Refineries: fuel oil is sold to refiners as feedstock for upgrader units. For example, if a refinery has a coker unit (that processes fuel oil to extract lighter products) they can run additional fuel oil if their regular crude slate does not produce enough fuel oil to use all their coker capacity. As we have noted previously, this possibility is becoming more likely in the US because refineries are running more lighter shale crudes like Eagle Ford that have little or no fuel oil fractions (see Turner Mason and the Goblet of Light and Heavy). Power or Heat Generation: fuel oil can be burned to generate heat for industrial processes (common in China) or used as a fuel to generate electricity. 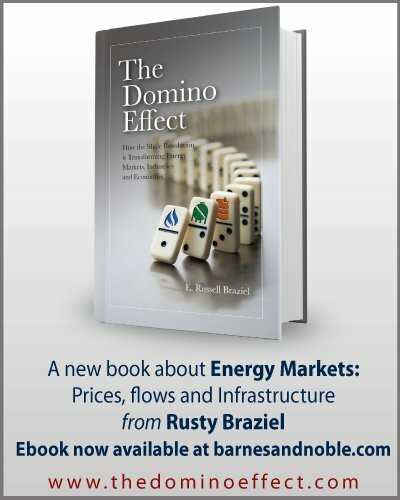 With crude prices in the US considerably higher than natural gas or coal, this option is now only used when absolutely needed to meet heavy peak power demand. However in the rest of the world there are still many fuel oil power plants operating. For example, Japanese consumption of fuel oil for power generation has increased considerably since the Fukushima nuclear disaster in 2011. 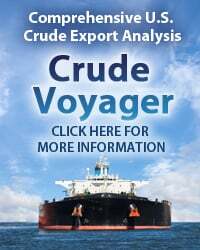 Marine Fuel Oil: marine vessels consume about 40 percent of world fuel oil production. In particular, large ocean going vessels use fuel oil because it is cheap compared to other refined products. (We will get into more detail about marine fuel oil in a minute). Number 1 fuel oil is a volatile distillate oil intended for vaporizing pot-type burners. It is the kerosene refinery cut that boils off right after the heavy naphtha cut used for gasoline. Older names include coal oil, stove oil and range oil. Number 2 fuel oil is a distillate home heating oil. Trucks and some cars use similar diesel fuel with a cetane number limit describing the ignition quality of the fuel. Both are typically obtained from the light gas oil cut. Gas oil refers to the original use of this fraction in the late 19th and early 20th centuries - the gas oil cut was used as an enriching agent for carburetted water gas manufacture. Number 3 fuel oil was a distillate oil for burners requiring low-viscosity fuel. ASTM merged this grade into the number 2 specification, and the term has been rarely used since the mid-20th century. Number 4 fuel oil is a commercial heating oil for burner installations not equipped with preheaters. It may be obtained from the heavy gas oil cut. Number 5 fuel oil is a residual-type industrial heating oil requiring preheating to 170 – 220 °F (77 – 104 °C) for proper atomization at the burners. This fuel is sometimes known as Bunker B. It may be obtained from the heavy gas oil cut, or it may be a blend of residual oil with enough number 2 oil to adjust viscosity until it can be pumped without preheating. Number 6 fuel oil is a high-viscosity residual oil requiring preheating to 220 – 260 °F (104 – 127 °C). Residual means the material remaining after the more valuable cuts of crude oil have boiled off. The residue may contain various undesirable impurities including 2 percent water and one-half percent mineral soil. This fuel may be known as residual fuel oil (RFO), by the Navy specification of Bunker C, or by the Pacific Specification of PS-400. And like all things nautical, there is a completely different set of naming conventions for fuel oil once it leaves dry land and gets onto a ship. At that point fuel oil becomes bunker fuel or “bunkers” – a reference to the coalbunkers where steam ship coal was stored at the dockside in the good old days (before MTV). Under one naming convention common a few years back different bunker fuels were assigned letters of the alphabet instead of the numbers used in the ASTM fuel classification, so that No. 2 fuel oil became “bunker A”, No. 4 or No. 5 fuel oil became “bunker B” and No. 6 fuel oil ”bunker C”. Nowadays marine bunkers have an International Standards Organization (ISO) categorization as either residual marine or diesel marine fuels. Residual marine fuels are broken down principally by viscosity (ability to flow) measured in centistokes and density. The most commonly used fuel oil bunkers are residual marine grades “G” and “K” – known by the acronyms RMG and RMK. The difference between the two is that RMG is 380 centistokes or less, and RMK is 700 centistokes or less – meaning that RMK is heavier and more viscous. Ships with more advanced engines that can process heavier, more viscous, (cheaper), fuel use RMK. Arrr! Congratulations me hearties! 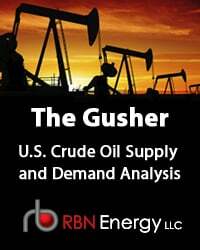 You have made it through the fuel oil classification system and are now officially qualified to proceed with our analysis of the Gulf Coast residual fuel oil market. The first thing to note about fuel oil markets is that they are not profitable for refiners on a stand-alone basis. In fact, most of the time, the price of fuel oil is lower than the price of crude oil. The chart below shows prices for US Gulf Coast No. 6 Fuel Oil 3 percent sulfur and NYMEX West Texas Intermediate (WTI) crude futures so far this year. On average over the year, WTI prices were $4.35/Bbl lower than fuel oil. During the early part of the year, WTI prices were higher than Gulf Coast No. 6 fuel oil. That was because, at the time, WTI was trading at a discount to the international crude benchmark Brent, which was setting the price of crude at the Gulf Coast. So fuel oil was tracking higher Brent linked crude prices in the region, raising it above WTI. From April onwards as its discount to Brent narrowed, (see Reunited) the WTI price moved higher and reestablished its traditional premium over fuel oil. 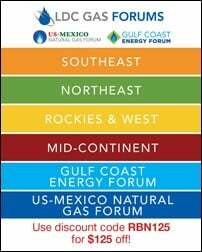 To access the remainder of Yo Ho Ho and a Cargo of Bunkers – The Gulf Coast Market for Fuel Oil you must be logged as a RBN Backstage Pass™ subscriber.